Have you ever been uncertain about how, as an early childhood teacher or educator, you should “do art” with children? Have you ever wondered how other teachers and educators engage in visual and performing arts? Have you ever needed creative inspiration yourself? Or do you just love art and love introducing and exploring and creating art? This book is a piece of gorgeous art in itself and it is exactly what you need! It inspires the reader to think and do and above all, become, with art. 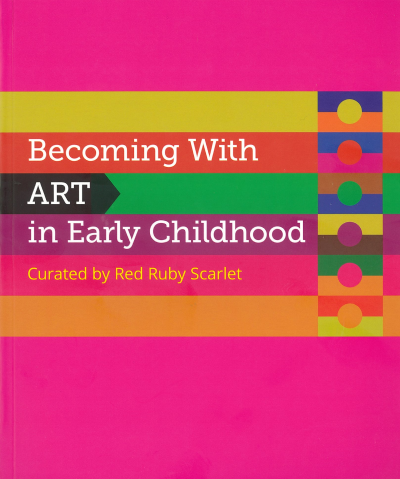 The book contains a series of sketches of specific examples of art practice in early childhood settings, from writing songs about monsters with a child, to making with clay, exploring Aboriginal arts, working with pigments to teaching drawing and creating mosaics. Every educator and teacher needs this book on their shelf and in their room.